Additional information: Son of Thomas Learmonth Bell and Wilhelmina Gordon Bell; husband of Grace S. M. Bell, of Prestonpans. Grave/Memorial Reference: Sec. S. Grave 275. Unit Text: Fishing Vessel S.S. Bellevue (Granton). Additional information: Son of Charles and Elizabeth Pow Blackie, of Port Seton. Grave/Memorial Reference: Sec. D. Grave 307. 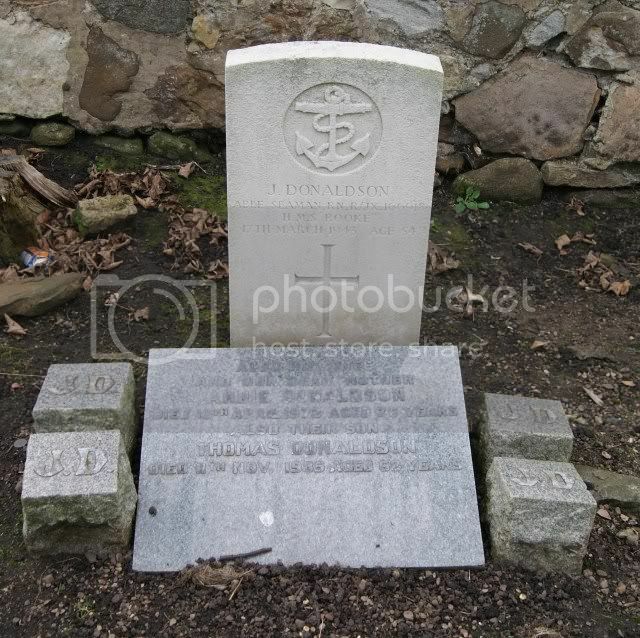 Additional information: Husband of Annie G. G. Donaldson, of Port Seton. Grave/Memorial Reference: Sec. B. Grave 130. Unit Text: Fishing Vessel. S.S. Bellevue (Granton). 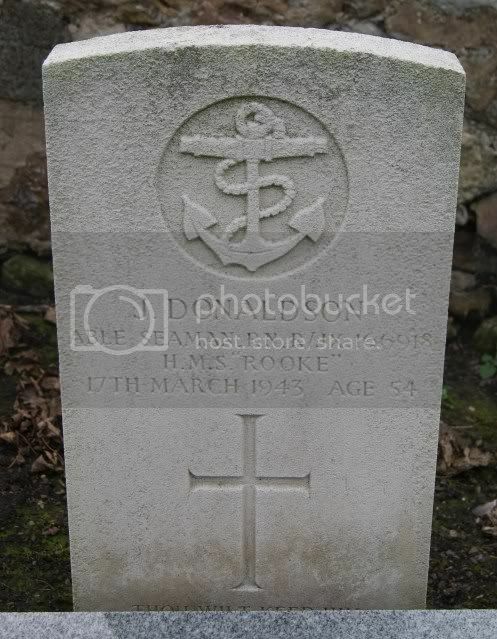 Additional information: Son of James and Isabella Flockhart Harkess; husband of Elizabeth Peden Harkess, of Cockenzie. Grave/Memorial Reference: Sec. B. Grave 109. Additional information: Son of Charles and Robina Inglis, of Prestonpans. Grave/Memorial Reference: Sec. S. Grave 303-304. Grave/Memorial Reference: Sec. D. Grave 287. 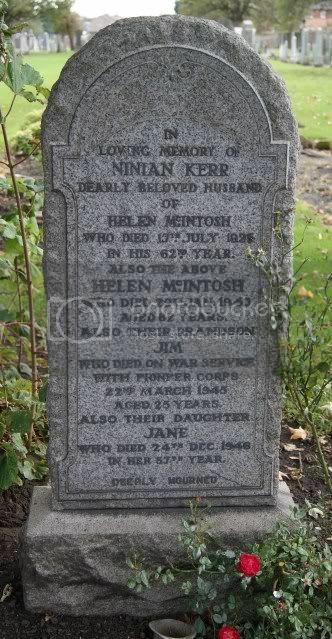 Additional information: Son of Thomas and Elizabeth Kerr, of Prestonpans. Grave/Memorial Reference: Sec. S. Grave 99. 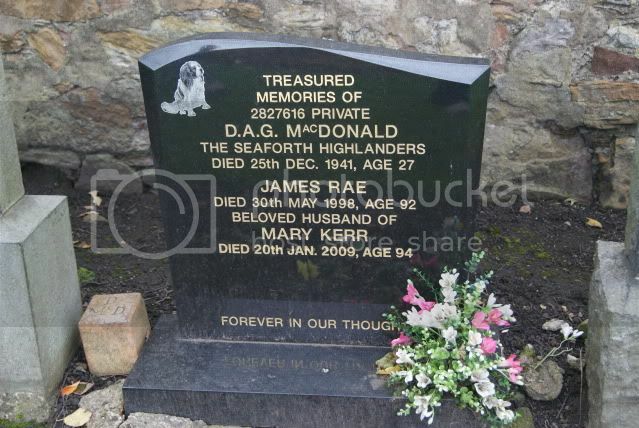 Additional information: Son of William and Christina Grant MacDonald; husband of Mary MacDonald, of Prestonpans. Grave/Memorial Reference: Sec. R. Grave 176. 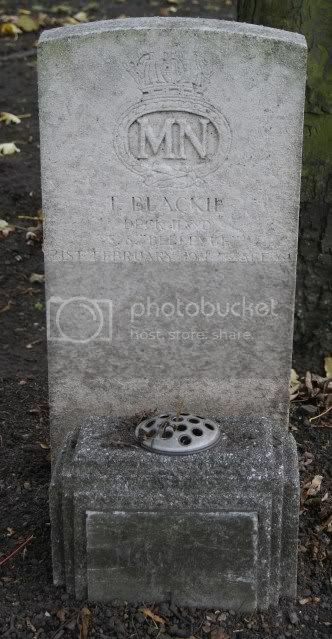 Additional information: Son of John Mackie, and of Elizabeth Mackie (nee Johnstone), of Cockenzie. Grave/Memorial Reference: Sec. S. Grave 100. 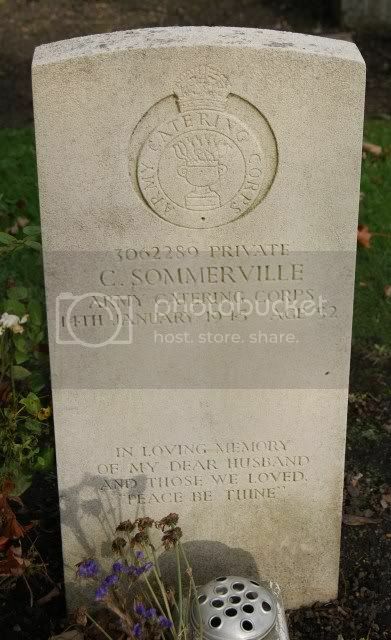 Additional information: Son of Thomas Sommerville, and of Catherine Sommerville (nee Barras); husband of Helen McDonald Sommerville, of Edinburgh. Grave/Memorial Reference: Sec. O. Grave 100. 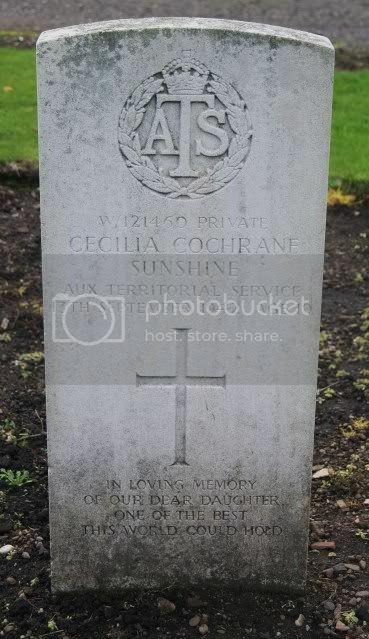 Additional information: Daughter of George and Helen Edmond, of Prestonpans. Grave/Memorial Reference: Sec. J. Grave 756. 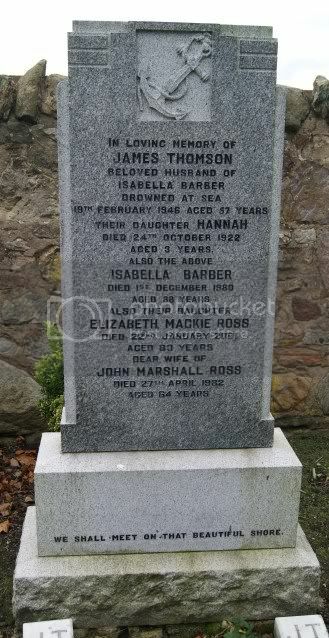 Additional information: Son of David and Marion Thomson; husband of Alice Thomson, of Port Seton. Grave/Memorial Reference: Sec. S. Grave 108. Unit Text: Fishing Vessel Steam Trawler Thrive (Leith). 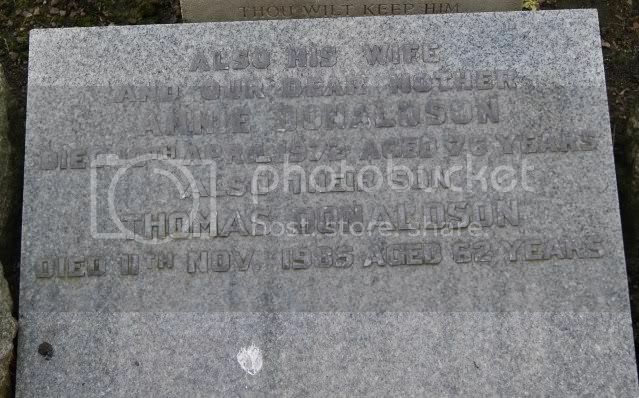 Additional information: Husband of Isabella Thomson, of Cockenzie. Grave/Memorial Reference: Sec. B. Grave 98. Additional information: Son of Archibald and Jeanie Woods, of Prestonpans; husband of Elizabeth Woods, of Prestonpans. Grave/Memorial Reference: Sec. S. Grave 236.